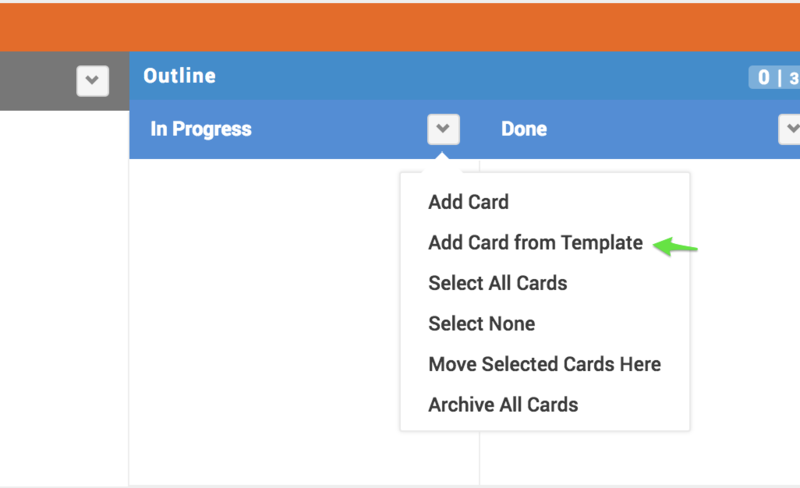 While there are ways to order and categorize cards using labels, tags, collections etc, Card templates are a way to quickly create a card from a predefined card template and easily create recurring cards. 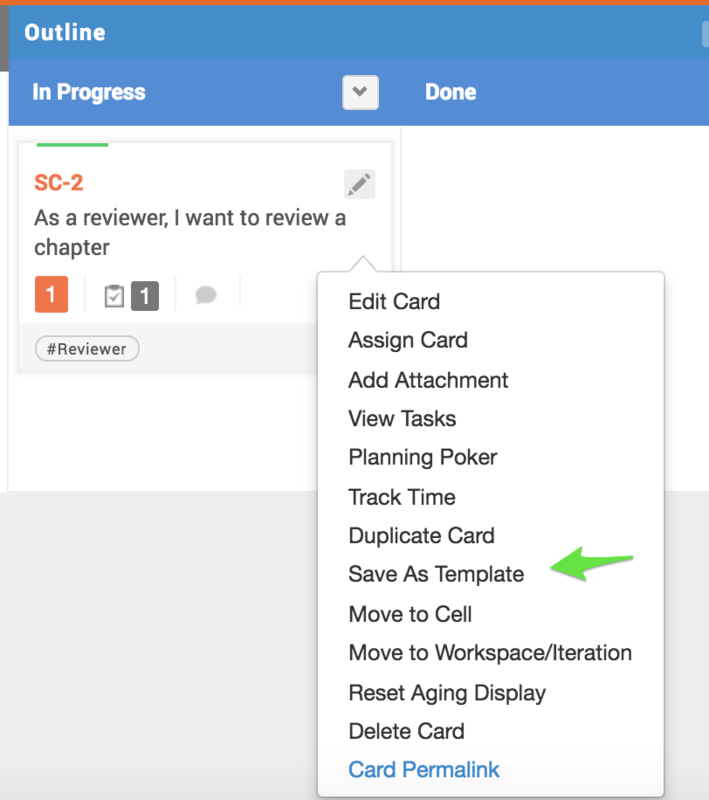 For example, you may have different types of work: user stories, features, bugs, customer requests and for each of these you want to adhere to having certain presets and fields, including some tasks that need to be checked off before calling it done. You may have a recurring planning meeting or a retrospective. Perhaps you want your staff to log their time weekly, follow up with clients/leads or have invoices that need to be filed monthly or bi-weekly. Card templates are for you. Existing cards can be saved as templates by right clicking on cards. New cards can be added to a board from the cell menu. 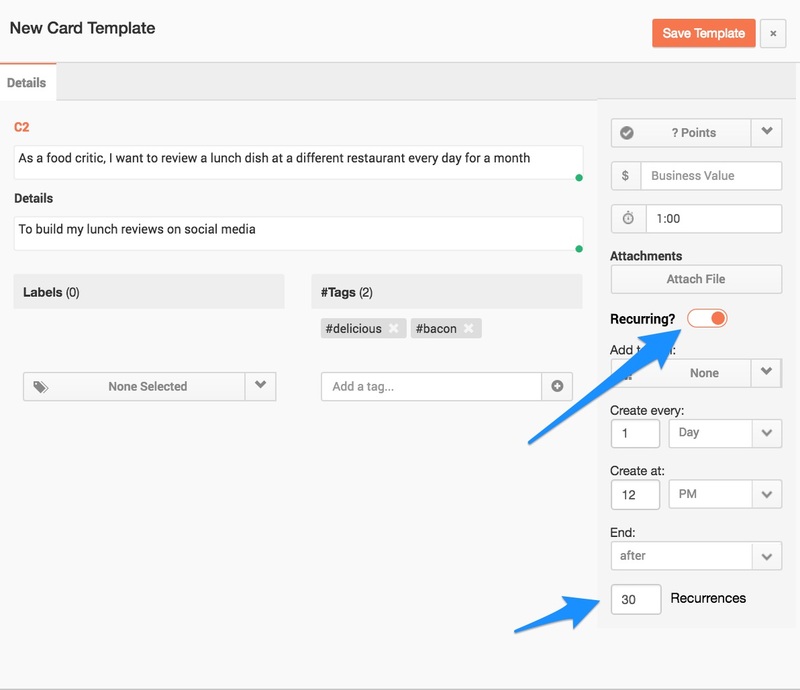 Card Templates can be managed from the Card Settings tab of Workspace Settings. 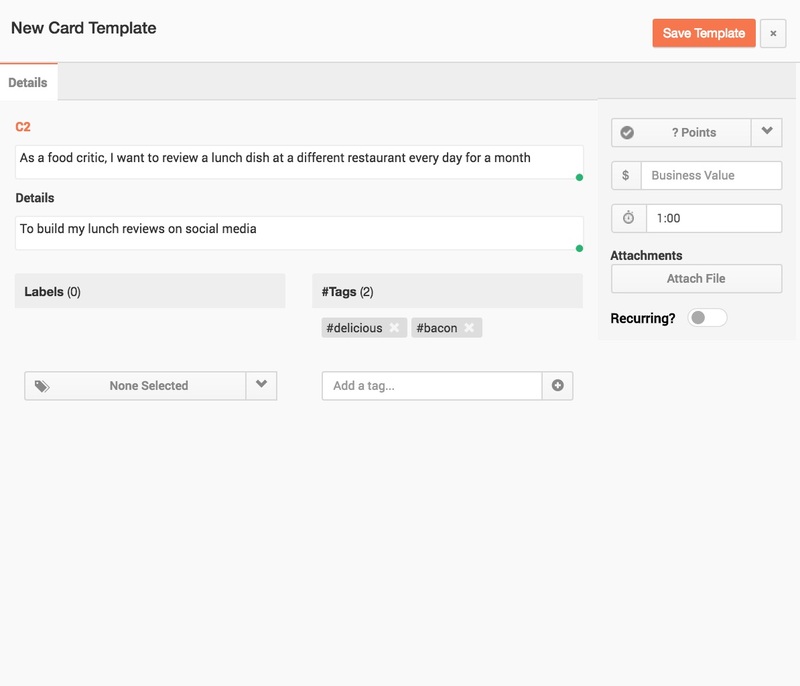 SAFeban Plan bonus: Custom Fields & Card Templates with Custom Fields.